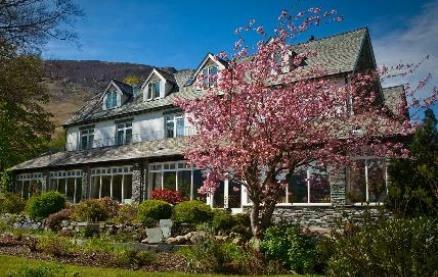 Borrowdale Gates Hotel offers diners a wonderful fine dining experience in a beautiful lakeland setting. The restaurant has an AA Rosette for Culinary Excellence. 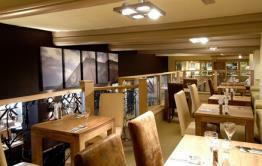 Panoramic windows in the Restaurant offer captivating fell views to complement the imaginative menu. 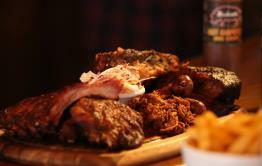 The dishes and flavours are regularly changed to reflect the passing of the seasons. 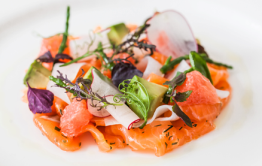 There is a mouth-watering combination of traditional British dishes, using the best local Lakeland produce, and classic French cuisine, with a light, modern interpretation. To complement the cuisine, a selection of traditional and new world wines has been carefully chosen to further enhance the different menus. For diners who enjoy specialist wines, there is a 'reserve' selection featuring more exclusive wines made in smaller quantities. These 'reserve' wines are available to order in advance. Be the first to write a review and share your experience at Borrowdale Gates Hotel with other diners.